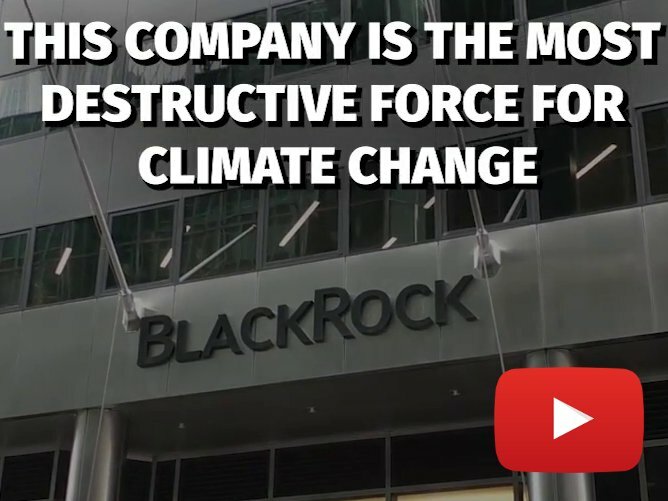 Update: We are all heartened by the recent powerful victory at Standing Rock, which shows that indigenous resistance and solidarity can overcome the dirty fossil fuel industry and politics that threaten our planet and the rights of its peoples. The Standing Rock struggle is deeply connected with related struggles around the world, and the movement grows with each victory. 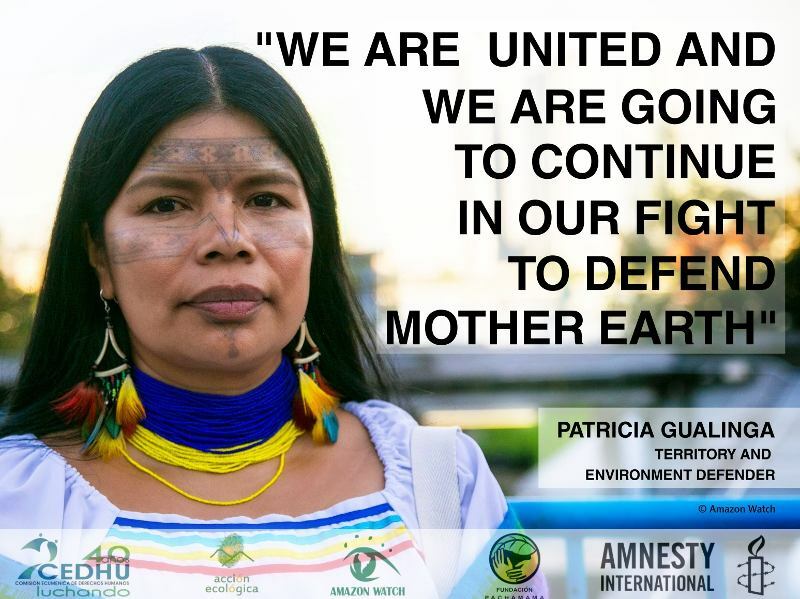 Like the brave water protectors at Standing Rock, the indigenous leaders of Sarayaku continued on their path to justice last week, on Friday presenting hard-hitting evidence against Ecuador in a hearing before the Inter-American Court of Human Rights, an independent body of the Organization of American States. Four years after the historic verdict in their favor from the Inter-American Court on Human Rights (IACHR) of the Organization of American States (OAS), the Kichwa community of Sarayaku was back in San Jose, Costa Rica today facing off with the Ecuadorian government, which has failed to comply with the most critical components of the Court's landmark 2012 ruling. 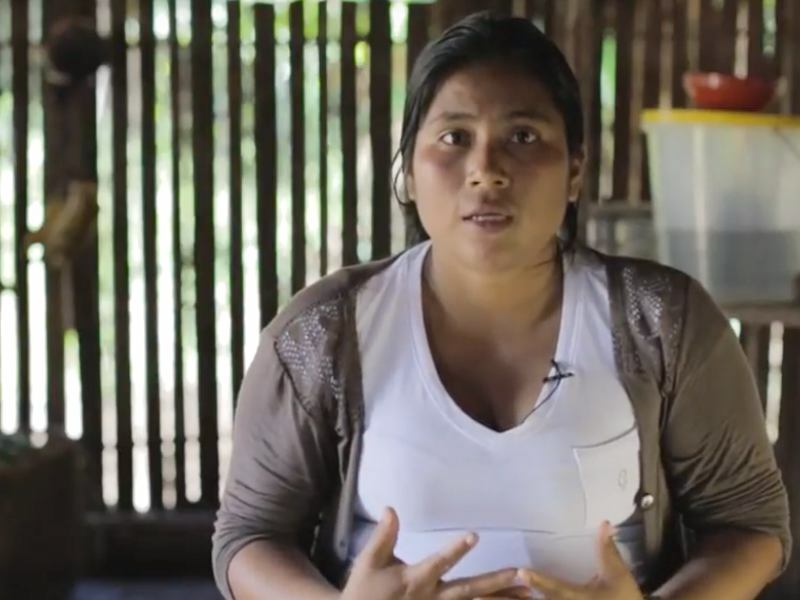 With that judgement, the Court found that Ecuador had violated Sarayaku's rights in pursuing an oil extraction project without consulting with the community. The project led to rights abuses by company workers and the military, violated the community's right to its territory, and put the physical and spiritual existence of the community at risk by leaving over 3,000 pounds of pentolite – a dangerous high explosive used during the seismic testing phase in the search for oil – strewn throughout their sacred lands. The judgment ordered the Ecuadorian government to provide Sarayaku with 1) Restitution – removal of the pentolite; 2) Guarantees of non repetition – if the government were to conduct exploration or extraction of natural resources, investment plans, or development of any other kind that affects Sarayaku territory or essential aspects of Sarayaku's cosmovision, life, or cultural identity, it must first adequately consult with the community, as it also must do with any other indigenous community in similar circumstances; and 3) Satisfaction – The government must publicly recognize its responsibility for the violations of which it was found guilty and pay damages. The administration of Rafael Correa complied with the easiest of the court's dictum: It compensated the community financially, and traveled to Sarayaku territory and offered a public, symbolic, apology. But the more difficult – and arguably more important – measures have remained unfulfilled for four years. Most of the pentolite is buried underneath the ground, but some is on the surface. Since the ruling, not a single pound of explosives has been removed, rendering huge swaths of Sarayaku territory under quarantine and off limits and presenting a major health hazard. Since the judgment, not only has the Ecuadorian government failed to adopt the legislative or administrative measures to implement a proper process of consultation, it yet again violated the right to consultation by signing contracts for three new oil blocks that overlap 91% of Sarayaku territory. The government's effort to expand the oil frontier by tendering new oil concessions on and around Sarayaku territory also clearly violates the right to non repetition. In court today, Sarayaku and its legal team made their case. "We are the heirs of a historic resistance and struggle in the face of invasion, colonization, and exploitation from rubber tappers, missionaries, and those in search of gold and oil. We ask that the Ecuadorian state comply with the ruling of the Court, so we can live in peace and in accord with our beliefs and our peaceful way of life," proclaimed Felix Santi, President of Sarayaku, in his opening statement. "We are facing a new threat in our territory, to our cosmovision, to our cultural identity and development as indigenous people," he continued. The government, represented by the Oil & Gas Minister and representatives of the Justice and the Environment Ministries, claimed that it had conducted an extensive process of consultation, at times seeming to lecture Sarayaku and the Court on what Free, Prior, Informed Consultation means. It provided vague and general references to the implementation of its national consultation policy. However, the government used its time during the hearing to present about other consultation processes in other provinces, rather than respond to Sarayaku's evidence that it had never been properly consulted. 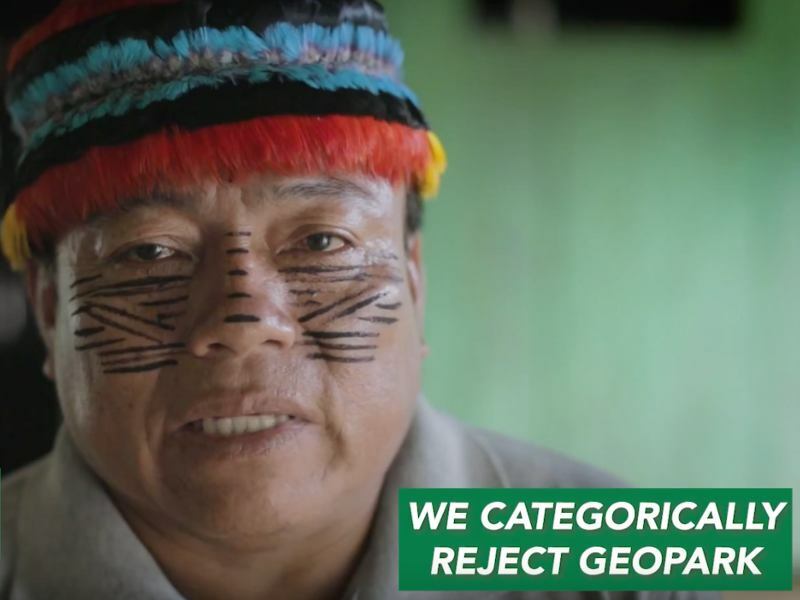 Tellingly, the government erroneously stated that there are seven indigenous nationalities in the Ecuadorian Amazon when in fact there are eleven. Furthermore, a report by the Inter-American Commission on Human Rights provided to the Court found that the government's norms and policies on prior consultation were inadequate. But the government showed its true colors at the end of the hearing, when, with voices raised, its representatives accused Sarayaku and its leaders of being "problematic" and "obstructionist," and expressed disdain for the community's decision to reject the construction of a state-sponsored school in its territory. "We always respect mother nature, because we're from there," explains Sarayaku community member Narcisa Viteri. "We know how nature lives, how we live. Those who live in the city don't know, and therefore don't respect it. Many things have happened to us because of the oil company. We know that the government has signed new deals with Chinese companies, then tries to claim we're not affected, but it's our territory!" The context for the hearing is that of an overall rights rollback by the government and attacks on indigenous rights and environmental defenders. For example, an indigenous uprising during the summer of 2015 saw widespread protests erupt throughout the Andes, Amazon, and capital city of Quito. Hundreds were injured, dozens were charged with sabotage and terrorism, and some have started serving long prison sentences. 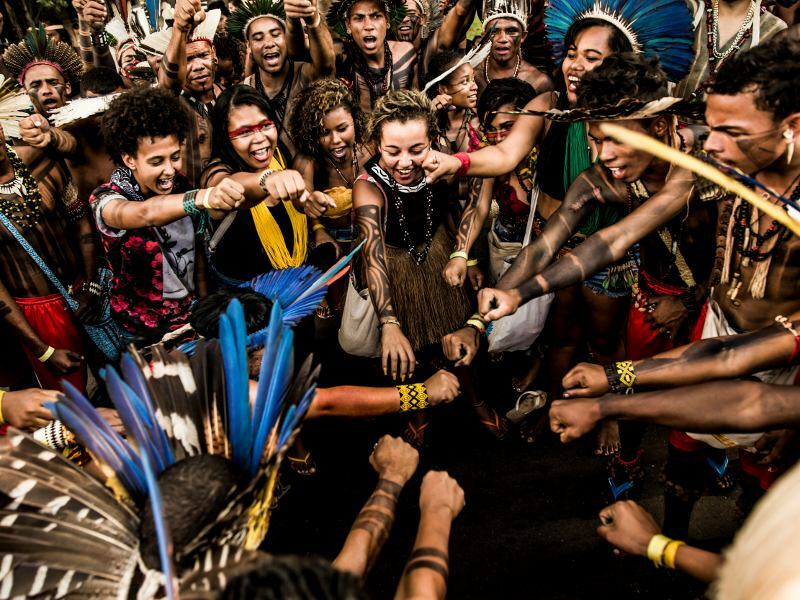 New legislation has dialed back important indigenous rights protections to water and bilingual education and made it easier to criminalize protest and silence those standing against the unfettered expansion of oil and mining activities in one of the most biodiverse places on the planet. The Inter-American Human Rights System is often the recourse for communities unable to obtain justice in their own countries for violations committed by the state. But in recent years the System has been threatened by some regional governments increasing their resistance to being held accountable and refusing to fund the System as has been the custom since its inception in 1979, making justice more elusive for victims. 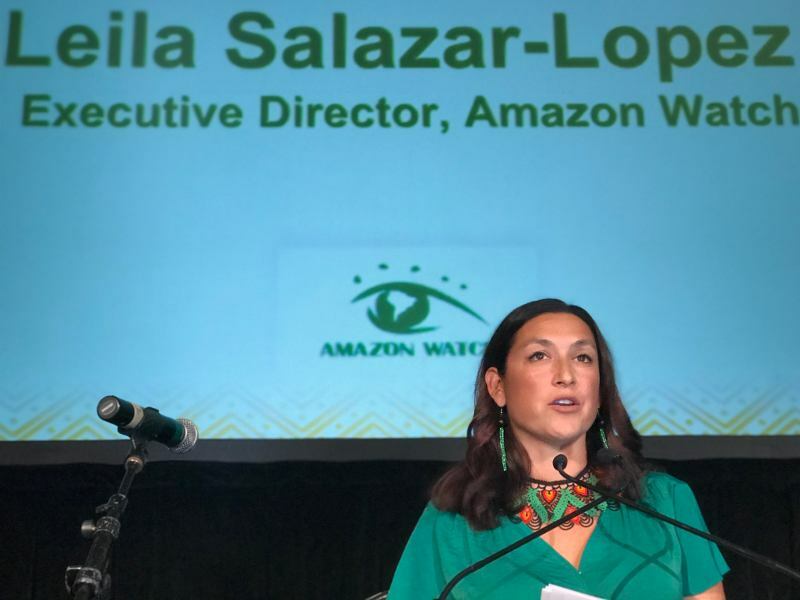 Despite the threats from the government and companies that seek to exploit the natural resources of Sarayaku territory no matter the cost, the people of Sarayaku have and will continue to protect their Amazon home and #KeepItInTheGround, and Amazon Watch will support them.